The trauma season is always officially open. And unfortunately, our patients can sustain mangled extremities in any number of ways. In days of old, management was simple: take it off. But we’ve become wiser over the years and are now able to salvage a good number of these threatened limbs. The Mangled Extremity Severity Score (MESS) has helped greatly with this. The Mangled Extremity Severity Score (MESS) is now 25 years old, and it still serves us fairly well. This simple system helps predict salvageability of mangled extremities. Obviously, the acronym was chosen to help describe the clinical problem. The system was used retrospectively in a group of 25 patients(!) and the authors found a nice breakpoint at 7. Any mangled extremities with a MESS of 7 or more required amputation. They then applied this to 26 patients prospectively(!) and got the same result. As you can see, the numbers were small, and there was no followup information. Nevertheless, MESS still stands today, and the critical MESS score has not changed much. It has been validated by a number of other studies during the past 20 years. It is conceivable that the critical score will slowly creep upward with advancements in flap coverage and surgical technique, but it hasn’t done so yet. Tomorrow, I’ll show you how to calculate the MESS score, and give some tips on how to use it. Reference: Objective Criteria Accurately Predict Amputation Following Lower Extremity Trauma. Johansen, et al. J Trauma 30(5): 568, 1990. 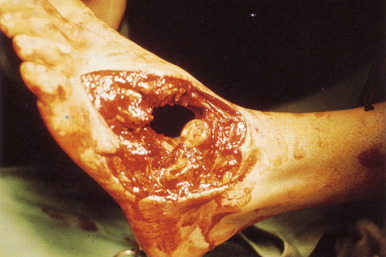 This month is the 20th anniversary of the MESS score, a system that helps predict salvageability of mangled extremities (Mangled Extremity Scoring System). Obviously, the acronym was chosen to help describe the clinical problem.